Later this year, Apple is going to offer some additional face customisation feature to its wrist-worn device with watchOS 2. Until then, we are pretty limited with our Apple Watch design options. Programmer Hamza Sood did some tinkering within his Apple Watch's code and hacked into the face watch section so he could add a customised animation of the Onoz OMG meme. 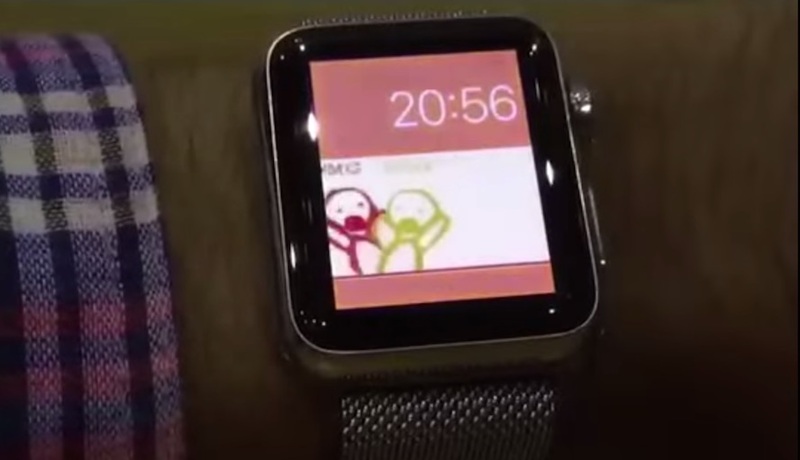 From a 23 second video posted to Twitter, Sood shows how he can switch from a native watch face to the meme. Not only does it work with animation, but users can also choose which colors they want to blink on screen. By providing the source code to anyone willing to do the same, Sood has opened up the doors for the hacker community to turn their restricted device into whatever their creative minds can come up with. Sood also hacked a Flappy Bird clone onto Apple Watch a few months back. He appears to be on a mission to explore everything he can possibly tweak. To be clear, watchOS 2 isn't going to open everything up, giving us unlimited access to tweak the operating system any way we like. That's exactly why we need the hacker community to come up with fun ways for us to mix things a little. Of course, many Apple Watch owners are not willing to potentially brick their pricey gadget. In the case of this customised watch face, Sood's source code requires some programming knowledge to implement the hack. Apple also doesn't take too kindly to these types of hijinks and will likely release an update to kill the exploit as soon as possible. So, get your custom watch face before Apple patches it.